On this date in 1802, the author of The Count of Monte Cristo was born in France. 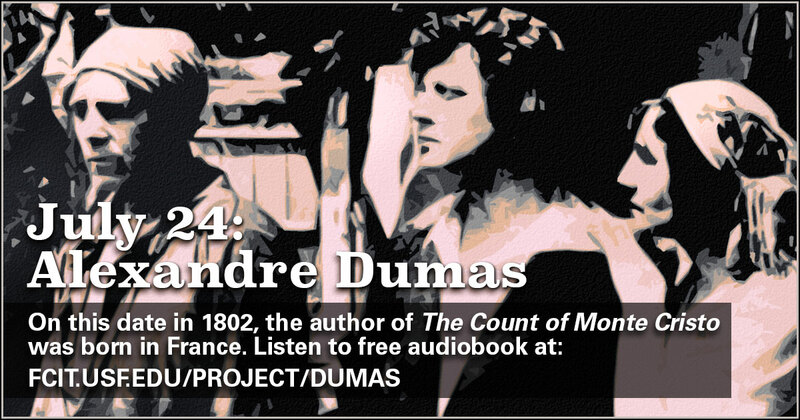 Dumas is also well known for writing The Three Musketeers and The Man in the Iron Mask. 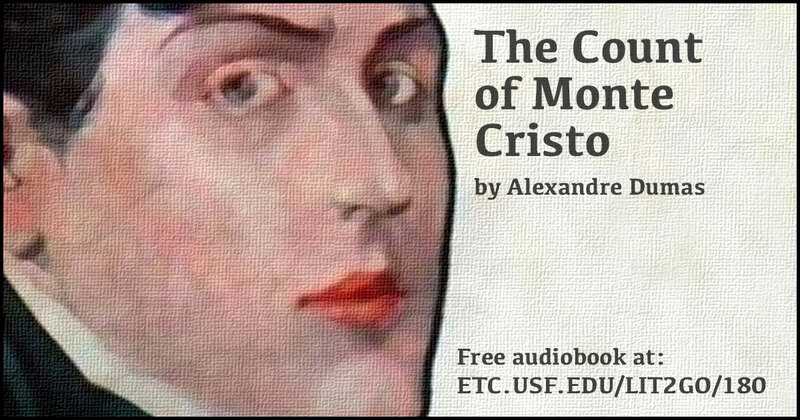 Use this banner on social media to share our audiobook, The Count of Monte Cristo. 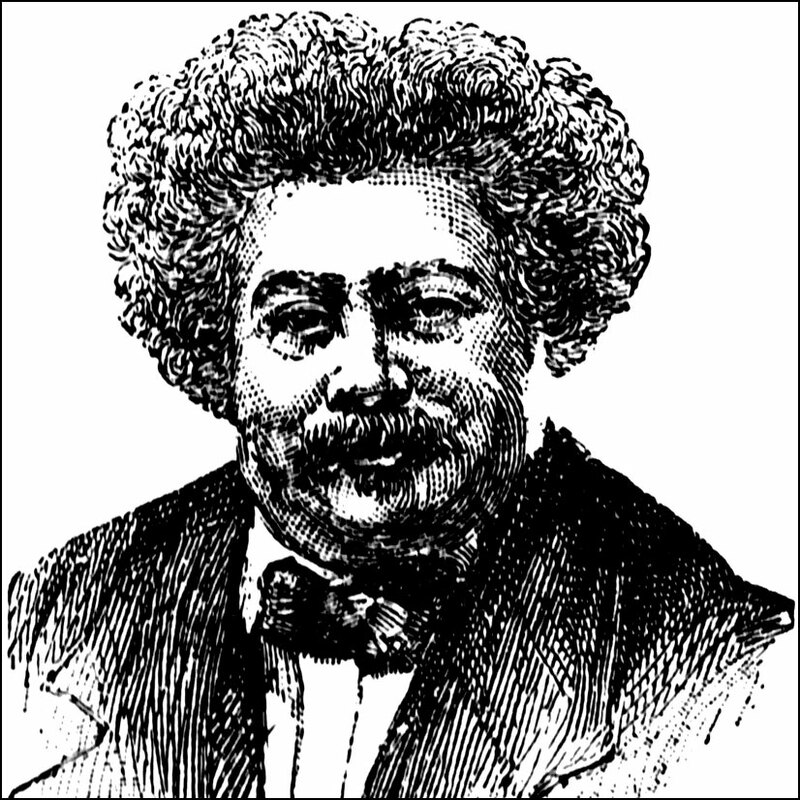 Portrait of Alexandre Dumas from the ClipArt ETC website. The Count of Monte Cristo audiobook from the Lit2go website. 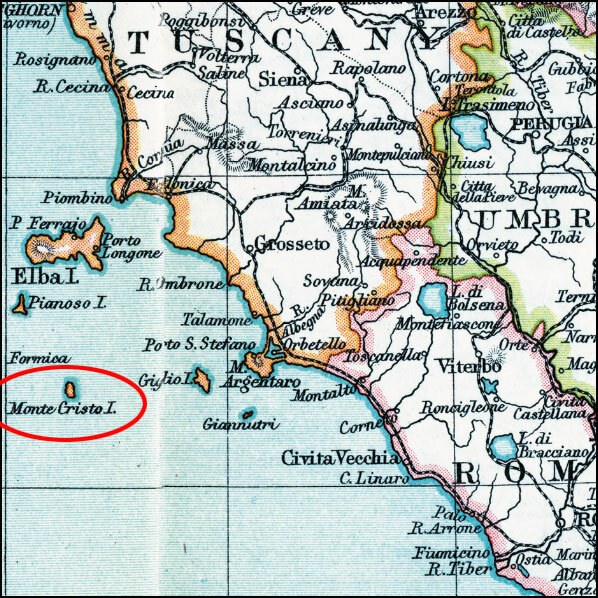 Map of Italy, showing the location of the island of Monte Cristo. 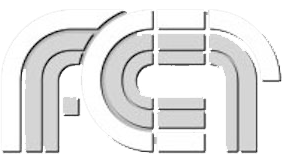 Easier to see on the PDF version. One of over 100 maps of Italy on the Maps ETC website. Some parts of The Count of Monte Cristo are set in France. 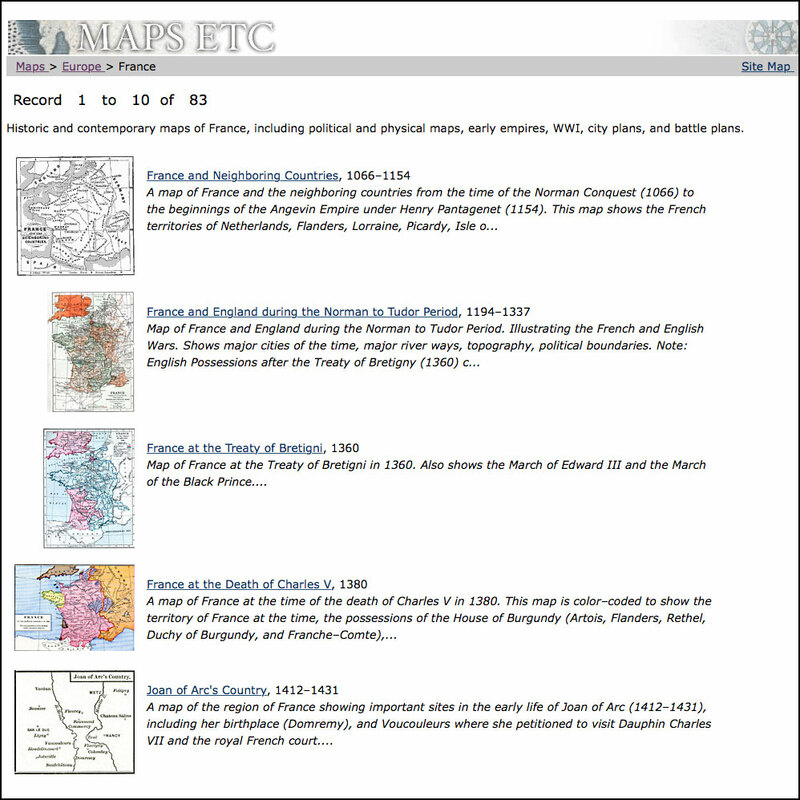 Explore our gallery of over 80 historic maps of France on the Maps ETC website.